March 20th is UN International Forest Day, a celebration of this world’s slow-flowing green fountains. Dirk Brinkman kicked off the weekend’s events with his “Brilliant Minds” presentation, where he acknowledged planters as the “backbone” of a company that has evolved to meet many current challenges on the ecological landscape. Brinkman Climate Helps Link BC Carbon Market With the World: Adapting the BC Forest Carbon Offset Protocol. This carbon methodology can now also be more easily adopted by other jurisdictions, which will accelerate the flow of investment into forest health made possible by valuing living forests and stored carbon. "Sure, we know a lot of things, but our knowledge of browse protection options is surprisingly limited so we called in some expert help. Thanks to Timo Scheiber, Operations Manager, Brinkman & Associates Reforestation Ltd. who answered our questions and gave us his educated opinion. Timo is reluctant to call himself a subject matter expert, but because he’s worked for Brinkman’s for over 25 years and they’ve planted an impressive 1 billion+ trees around the planet, we’re happy to call Timo an expert and grateful to have him share his experience." Brinkman is excited to be a co-founding partner of The Earth Partners Limited Partnership, a company that currently has projects under development to restore millions of acres of degraded and marginal lands across the USA and an amazing array of ecosystem restoration and bioenergy contracts in the pipeline. By all accounts, Faraz Khodabandeh was a remarkable person, both a larger-than-life character and a respected up-and-coming leader in the Brinkman community. He thought deeply and cared deeply about the tree-planting experience and what it meant for the people involved, and he faithfully shared those thoughts with his friends and fellow planters, earning himself a reputation as a wilderness philosopher and modern Renaissance man. When Faraz’s life was tragically and prematurely cut short by a road accident on November 10th, 2013, the collective response was grief, but also action. Something about Faraz compelled his friends and family to take steps to preserve a lasting legacy for him. Tree-planters ‘get’ Pembans better than any other group I have met. Maybe it’s living in an isolated community, or maybe it’s just an understanding of what a hard day's work is all about, but planters ‘get’ Pembans. Last week Kent Spencer from The Province newspaper interviewed Dirk about the effect climate change is having on our forests and how progeny trials will help us determine how to adapt the species we plant to the changing climate. Every year across Canada CN Rail’s sustainability program sponsors many reforestation projects, offsetting the clearing of new rail lines and the production of new railway ties. By 2015 they will have planted over one million trees, which makes them the leading private non-forestry company tree planter in Canada. Tree Canada, a non-profit organization that specializes in coordinating the pro bono planting of trees for various purposes has partnered with CN to help see these projects happen. This year through Tree Canada, CN Rail sponsored the planting of 100,000 seedlings by Brinkman & Associates Reforestation Ltd. on the TseK'hene traditional First Nation territory of the Chingee family about 60kms North of Prince George. "The Resort Municipality of Whistler (RMOW) is now able to neutralize its corporate greenhouse gas (GHG) emissions by purchasing carbon offsets locally as part of its broader Carbon Neutral Operations Plan. This is possible because of the recent signing of an agreement between the Cheakamus Community Forest near Whistler and the Province of British Columbia, which allows the community forest to generate and sell carbon offsets. Having been in “The Business of Planting Trees” for nearing 50 years, it is an honour for us at Brinkman to have been selected as one of 14 leading examples across the globe of successful business in the land restoration economy, and one of only 2 companies showcased as “a ‘one-stop shop’ for restoration” in the Project Management section. The Brinkman profile showcases treeplanting projects across Canada, carbon offset projects in BC, and native species hardwood plantation management projects in Central America, as pointed examples of the various land restoration project types our team of skilled managers have delivered. With over 1.4 billion trees planted and over a million hectares restored, having our hands in the soil across this time has taught us how each natural system works together uniquely, supporting and enriching its human communities. Without stewardship, without balance between people and the biosphere, there is no economy. 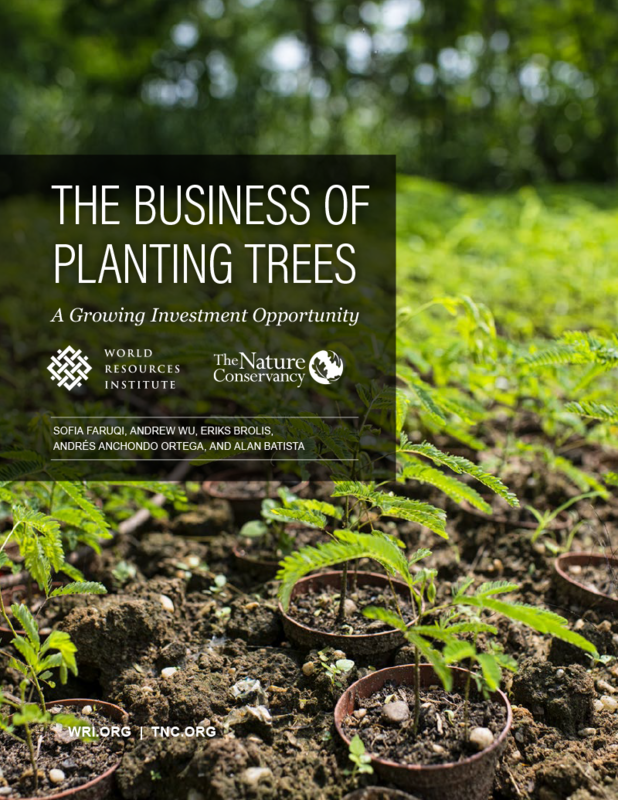 We've learned how to plant a sapling – or an idea – so its roots grow strong and deep. Es un gran placer adjuntar un libro recientemente publicado por la FAO y CATIE a nivel internacional donde BARCA participo como autor o coautor (Clementino, Diego y mi persona) en dos capítulos. Por favor mandar a otros interesados que no incluí en la lista de envio. 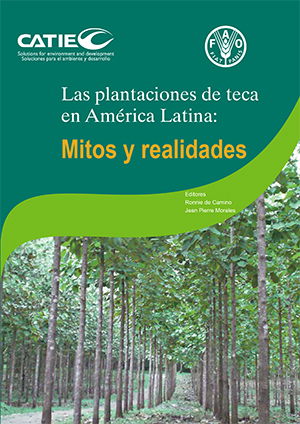 It is a great pleasure to share this difentive teak book that is internationally published by the FAO and CATIE. Key managers of BARCA, Diego Dipieri, and Ricardo Lujan authored two chapters of this book. such as the Van Eyck and Garcia Forest Projects in California. of Canada’s National Forest Strategy. as coauthor of a recent report on climate change and conservation. stimulating analytical thinking, and should not be relied on for making market decisions. report with their members and audience. To open or download full publication click the link below.